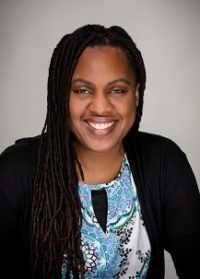 Melicia Whitt-Glover, PhD Executive Director, Center of Excellence for the Elimination of Health Disparities and Associate Professor, Department of Healthcare Management, Winston-Salem State University, Winston-Salem, NC Dr. Melicia Whitt-Glover is Co-Lead for the HeArts Studio at CDI. She is also Executive Director for the Center of Excellence for the Elimination of Health Disparities (CEEHD) and an Associate Professor in the Department of Healthcare Management at Winston-Salem State University. CEEHD strives to promote equity and social justice in health care delivery, treatment, and outcomes by leading collaborative efforts to generate and disseminate evidence-based, policy-relevant solutions, and to educate future leaders how deliberately consider and incorporate equity and social justice in professional practice. Dr. Whitt-Glover received her BA (Exercise Physiology, 1993) and MA (Exercise Physiology, 1996) from the University of North Carolina at Chapel Hill. She received her Ph.D. (Epidemiology, 1999) from the University of South Carolina. Dr. Whitt-Glover completed a postdoctoral fellowship at the University of Pennsylvania School of Medicine (2000 – 2002).